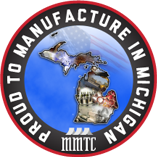 A&O Mold is located in southwest Michigan, just minutes south of Kalamazoo, MI. We have 25,000 square feet of newly renovated floor space that allows us to operate at one site. This allows our engineering, manufacturing and molding department to work together to provide the highest possible quality. If you’re a new customer, please schedule a tour to view our facility or please view our portfolio for our latest equipment lists. All workstations are HP z400 or z800 quad core processors with 16/32 GB of Ram. Filemaker – It is a fully customizable ERP software that we use to track entire projects through each stage, from the initial quote to the printing of the shipper. Traceable items include employee time, purchase orders, bill of materials, customer communications, and as well as all other necessary ISO 9001:2000 forms. Powering our Engineering department is 6 seats of the latest version of Solid works and 4 seats of Cimatron. On our shop floor, each toolmaker has a seat of Cimatron view only, aiding in the communication between engineering and the shop floor. The latest version of Del-Cam power inspect is used as our CMM software on our FARO arm. 2 – Overhead Cranes, 1- 10,000 lbs. Cap., 1- 6,000 lbs. Cap.